Are you trying to save money on your electric bill by switching to more efficient lights? Are you thinking of investing in LED lighting technology? Whether you are using grow lights or conventional home lighting, how soon will your light upgrade pay for itself? It all depends on your usage scenario. This simple cost calculator shows how quickly an LED light upgrade can pay itself off in electrical energy savings. 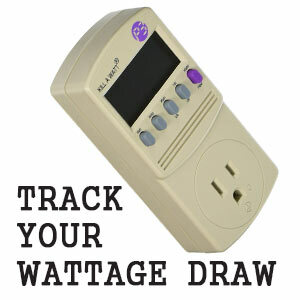 This calculator only factors in the electrical costs versus the purchase price of your lights. As you can see, the hours of operation and electrical rates are going to have a big impact on how quickly a light pays itself off through savings in electricity. Learn how to use this calculator to determine your pay off period! LED lighting offers more benefits than simple savings in electricity. Although electrical costs are the easiest to calculate, there are other factors to consider. REDUCED HEAT GENERATION: Switching to more efficient lighting technologies can mean a significant reduction in heat generation. This can translate into reduced cooling costs. If you will use your lights in an air-conditioned space, during hot months, then this is something worth consideration. On the other hand, what if you're running your lights in a cool room during winter months? That extra heat can actually reduce the amount of cycles that your furnace must run. Thus, the extra heat from your older lights is not really wasted energy. IMPROVED OPERATIONAL TOLERANCE: In general, LEDs are a much better option for environments where they will be turned on and off frequently. In home and commercial environments, they can outperform fluorescents. LEDs do not require a warm up period to reach maximum brightness. Their lifespan is not diminished by short on / off cycles. They also work much better in colder environments. Do you have an unheated garage that never lights up properly in the Winter months? Replacing your linear fluorescent tubes with LEDs can yield much better light quality! On a side note, some LEDs are being developed that are even water proof. 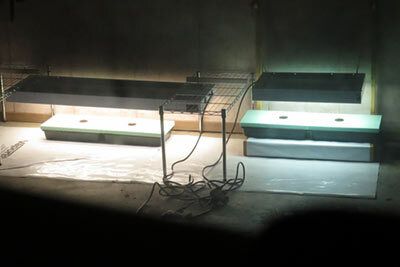 This makes them excellent options in grow rooms or aquariums where there is always a danger of being splashed by water. IMPROVED LIFESPAN: You can expect more than double the lifespan out of your LEDs versus fluorescents. Most T5 bulbs will have a rated lifespan of 20,000 hours. 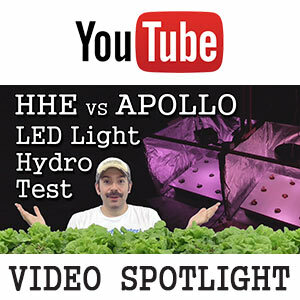 In contrast, LEDs claim to offer 50,000+ hours of operation. These are only estimates, of course. 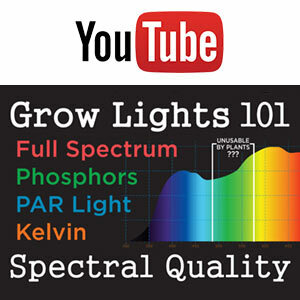 Bulbs can fail sooner than expected. And that even applies to some LEDs that have fallen short of consumer expectations, often due to driver failure. One more perspective on the whole lifespan issue deals with how quickly a light loses its intensity. Some bulbs may not have burned out but after enough hours of operation, their brightness will start to drop off significantly. LEDs offer a real advantage in this regard as they tend to hold their brightness for a much longer period than most other technologies. It's a broad range of factors that can really make things complicated. Thus, I personally don't try to quantify the exact lifespan savings. I prefer to focus on the reduced wattage consumption for any given coverage area.